Mine: One of the best animated movies ever made. Facinating characters, quick moving story, and a great look. Dom DeLuise is particularly good as the crow. 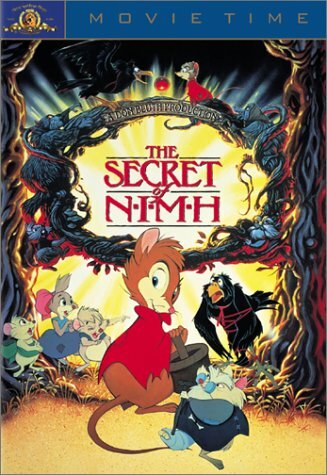 Leonard Maltin/Plot synopsis: When her family homestead is threatened, a young widowed mouse seeks help, and comes upon a secret society of superintelligent rats. Well-animated adaptation of Robert C. O'Brien's prize-winning children's book, but not as involving, or as well paced, as it ought to be. First feature from Don Bluth Productions, the studio founded by a group of former Disney artists. Shannen Doherty is the voice of one of the mice children.